Fill in the grid so that every row , every column , and every 3x3 box contains the digits 1 through 9. 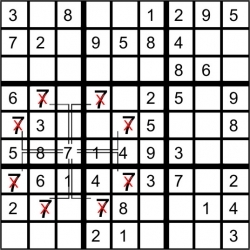 In Anti-Knight Sudoku all cells at a chess knight move (at a distance of 2 by 1) must hold different numbers. Fill in the grid so that every row , every column , and every 2x3 box contains the digits 1 through 6. 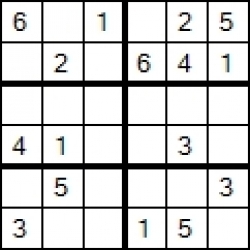 In Anti-Knight Sudoku all cells at a chess knight move (at a distance of 2 by 1) must hold different numbers.